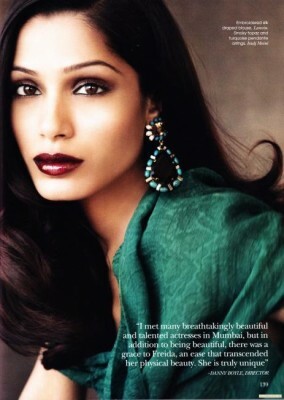 L’Oreal has named Indian actress (and lovely Ga Ga Girl) Freida Pinto the newest face of L’Oreal cosmetics. 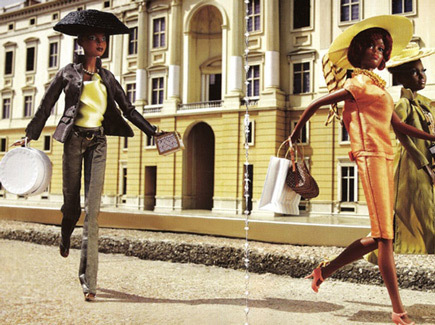 “I am very moved to be joining the great L’Oreal Paris family and all these personalities: a family I am now proud to be a part of,” the Slumdog Millionaire beauty said in a statement. Also joining the roster (which includes Beyonce, Penelope Cruz and Eva Longoria Parker) is Lost star Evangeline Lilly, who says, “It is a source of great pride for me to represent a brand whose ambition is to respond to every person’s aspirations to beauty and contribute to the fulfillment and well-being of everyone.” Congrats, Freida!